What is Microsoft Wi-Fi, and Will it Matter To You? Microsoft wants to be the company that provides the service you want, wherever you are, no matter what device you’re using. They’ve taken their biggest properties like Skype and OneDrive cross-platform. They even have Office running on iOS and Android. With Microsoft Wi-Fi, the software giant takes another step in the quest to be your go-to service provider. Using Microsoft Wi-Fi, road warriors and casual travelers alike could save time, money, and headaches connecting to for-pay wireless hotspots wherever they are. One account, one payment, over ten million locations around the world. UPDATE: Microsoft has officially discontinued it’s Skype Wi-Fi service. No announcement has been made about Microsoft Wi-Fi, but the service’s website has been down for a few days. It looks like Microsoft Wi-Fi is being shutdown as well. Microsoft Wi-Fi is a new feature being rolled out with Windows 10. Well, the name is new. The feature has existed under the name Skype Wi-Fi for a few years now. It’s a service you can use to connect to for-pay Wi-Fi hotspots around the world without having to create an account with each Wi-Fi provider. 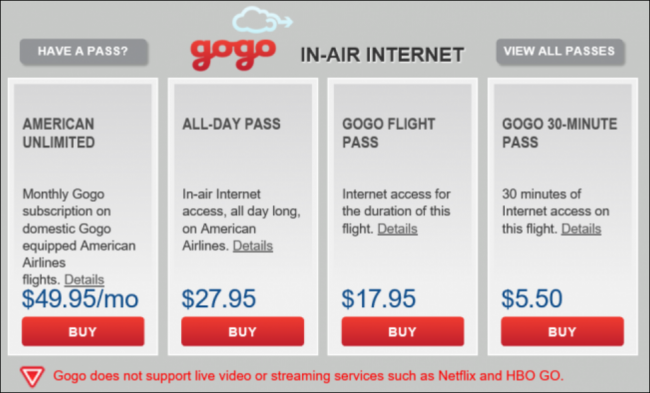 If you’ve traveled by air any time in the last 10 years you’ve probably encountered Boingo and Gogo wireless hotspots. Boingo and Gogo work well for frequent travelers because they’re pretty much ubiquitous in airports and on commercial flights. 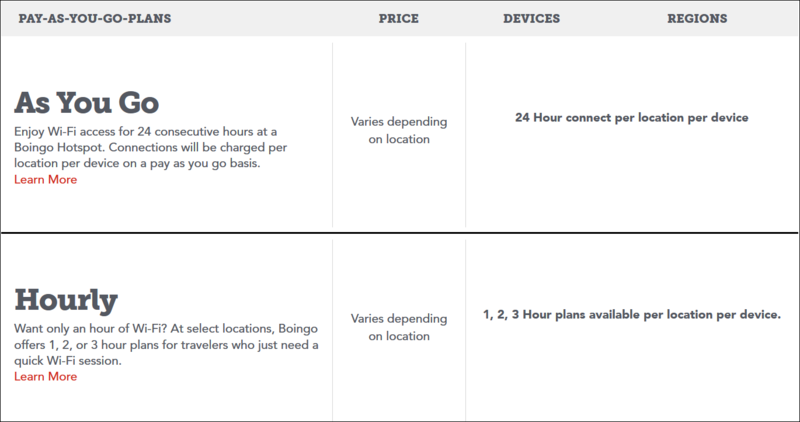 Regular travelers can create an account, buy a month worth of access, and use Wi-Fi anywhere Boingo and Gogo are available for the entire month. If you’re an infrequent traveler, this is nuts. You can still buy access by the day or hour, but the price may be ridiculous. You won’t know until you get there though, as it varies by location. Gogo in flight WiFi is expensive. There are similar for-pay hotspot systems across the world. The problem with these systems is if you’re not frequently in places with the same system, using any of them doesn’t make financial sense. This is where Microsoft Wi-Fi comes in. Microsoft has partnerships with Wi-Fi providers covering over ten million locations around the globe. If you connect to a partner hotspot, Microsoft Wi-Fi will negotiate the setup with the vendor and complete your connection. No need to create a new account, provide yet another company with your credit card information, or remember another username and password. You also presumably won’t need to negotiate changing fee structures. You’ll buy a chunk of time from Microsoft at a given price, and use it on any partner network you please. 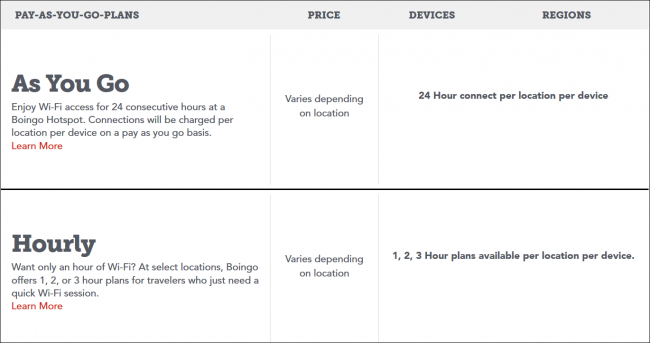 Boingo’s prices vary if you want anything less than their $9.95 monthly plan. Microsoft’s Wi-Fi Sense has been getting a lot of press lately. This isn’t Wi-Fi Sense. Wi-Fi Sense is a way for you to share network keys with contacts. The idea is that you’ll be able to access secure networks your friends use without ever having to be given the keys, and they’ll be able to do the same for networks you have access to. Microsoft says these connections will only allow access to the Internet and not local network resources (i.e. printers, other computers, media devices), but hasn’t provided any specifics as to how that will work yet. Microsoft’s goal is for this to be as seamless as possible. In the Skype Wi-Fi days, you had to open the Skype Wi-Fi app and connect to participating providers through the app. That’s not a huge hurdle, but it’s annoying. With Microsoft Wi-Fi, you connect like you would anywhere. 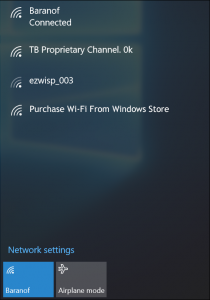 Just click on the Wi-Fi icon in the system tray and select “Purchase Wi-Fi from Windows Store”. Microsoft does the rest. This connection option will only show up when a partner hotspot is available for use. Lots of for-pay hotspots have fee structures that work for regulars, but punish transient users. Frequently you can buy access for a month, week, day, or by the hour for increasingly ridiculous amounts. If you’re spending three hours in a coffee shop 500 miles from home, this can be a real pain in the wallet. Details are still vague, but right now it looks like you can buy a chunk of access time from Microsoft and use it on any partner network. So if you buy eight hours from Microsoft you can use 30 minutes in St. Louis, another 90 in Seattle, 60 in Detroit, 45 in Milwaukee and still have four hours and 15 minutes to burn. One account, one payment. There is one catch for international travelers. Your time is only good in the country you purchased it. So if you buy six hours in Germany and cross the border to Austria, your time is no good. Presumably, you can bank time in each country you frequent, but you’ll have to make multiple purchases. Still one account though. The impact this has on you is really dependent on how and where you travel. If you’re constantly in search of a Wi-Fi signal, this could be huge for you. If you’re more of a homebody, you might never think about it again. Where you travel matters just as much. If you’re in places that Microsoft doesn’t have partnerships, the service is pointless for you. Microsoft Wi-Fi is aiming to simplify something that is likely headache-inducing for a lot of people. If the price point is right and the availability is good, this could be a very valuable and popular service.